a retainer; hourly rate or project basis. Our Labour Legislation Compliance Audit offers a complete review of HR-related practices including the review of Employment Contracts, HR Policies and HR Procedures to ensure compliance with various related and applicable Labour Legislation. We conduct a needs analysis of the Company’s Employment Contract requirements and review existing Contract templates or compile new Employment Contracts whilst ensuring adherence to relevant legislation, including applicable Sectoral Determinations. Through analysis of your Company’s HR Policies and HR Procedure requirements, we will provide the business with a set of revised or new HR Policies and Procedures in conjunction with HR and Payroll supporting documents from our applicable HR templates. We conduct a review of the Company’s Payroll, Personnel and Employee Benefits Processes and Systems with a view to making recommendations to ensuring best practice and optimising efficiencies. We facilitate a training needs analysis to identify skills development needs. We assist clients to source appropriate training interventions and providers whilst ensuring alignment of any proposed training/skills development interventions with the strategic objectives of the Company. We furthermore assist Companies with their SETA mandatory report submissions as well as applying for SETA pivotal and discretionary grant funding where required. We assist designated employers to comply with the EE Act by fulfilling all the EE requirements as per the provisions of the EE Act, including conducting an Analysis of the Company’s Employment Equity Policies, Practices, Procedures and work environment; compilation and submission of annual Employment Equity reports and compilation of an EE Policy and EE Plan. We review the Company’s existing IR Practices, Disciplinary Code, Disciplinary Procedure, Code of Conduct and relevant supporting templates. In the absence of the aforementioned, FvT Consulting will provide all requisite Policies & Templates. We furthermore provide facilitation of training workshops for Line Managers and Supervisors in IR and provide ongoing support/advice. Further related services include Chairing of Disciplinary enquiries/hearings and support of employers at CCMA proceedings. We provide either the Service of compilation of Job Profiles via our team of HR Associates or alternatively we will facilitate the training of Line Managers in this regard. Where required we implement a Performance Review/Appraisal Management System, ideally linked to the Job-profiles. We offer effective performance review training of Managers including reviewing of Probationers. Further training and support for Line Management is available to manage Poor Work Performance (Incapacity Processes) in accordance with relevant labour legislation. We review the Company’s Recruitment and Selection processes with a view to sourcing and selecting the best Human Capital for your organisation. We offer clients Professional advice and support pertaining to any operational requirements restructuring/ “right sizing”processes to ensure compliance with Section 189 and Section 189(A) of the Labour Relations Act. FvT HR Consulting’s recruitment arm to the business does not operate as a traditional recruitment services provider. We basically act as an extension of the Client’s HR/Recruitment division. In fact this recruitment service purely came about to attempt to reduce our Client’s recruitment costs. 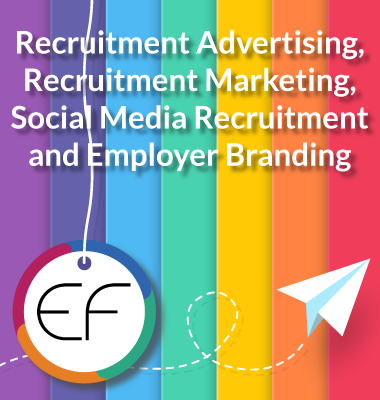 We offer affordable recruitment advertising, shortlisting and placement services to recruit the best talent. We do not charge traditional placement fees but work on a fixed hourly rate and levy an introduction fee upon successful placement of a candidate. 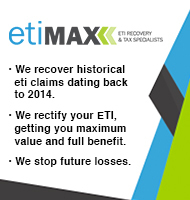 We will assist your organisation to spend less time and money on recruiting the best talent.